The SEC Exhibit Explorer is a simple program that runs from your computer and network with no installation needed. 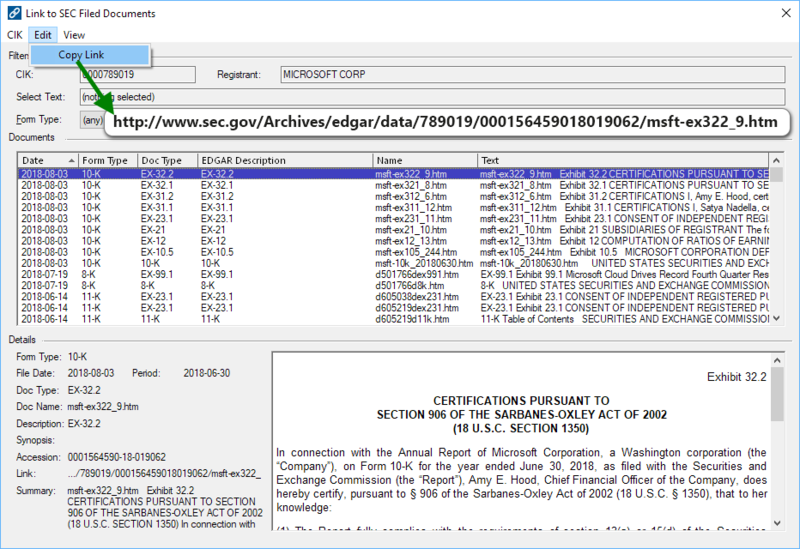 Using the SEC Exhibit Explorer, you can look up an EDGAR CIK to explore. 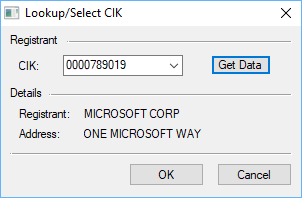 The program will create an EDGAR filing index for that CIK and download the filings. You can explore each filing to locate exhibits and use the program to generate the hyperlink code for a document. Three easy steps take the leg work out of finding the locations of your exhibits on the EDGAR Archive. All the program requires is an Internet connection. You simply use the Load CIK tool to select a CIK. The Get Details button loads the details for that CIK that are available on the EDGAR System, such as the registrant name and address, to help you verify the identity of your registrant. Then press OK to begin downloading filings. Your exhibit index will be created as the application downloads data. 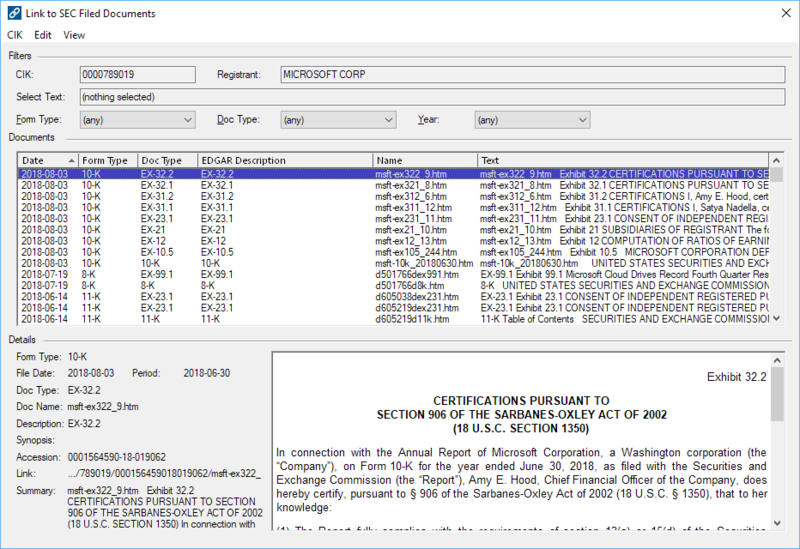 The Explorer application presents all of the documents within a CIK’s filings in a list with the filing date, EDGAR form type, the document type, EDGAR description and more information visible. Click a document to get details about it with a preview of the document available to verify its contents. Sort and filter the exhibit index by Form Type, Document Type, and Year of the filing. Use tools to open the document on the SEC’s EDGAR Archive using your internet browser. Once you have found your exhibit, just select it in the list and use the Copy Link tool. You can now paste the URL of your exhibit into any program you use to prepare your EDGAR filings!